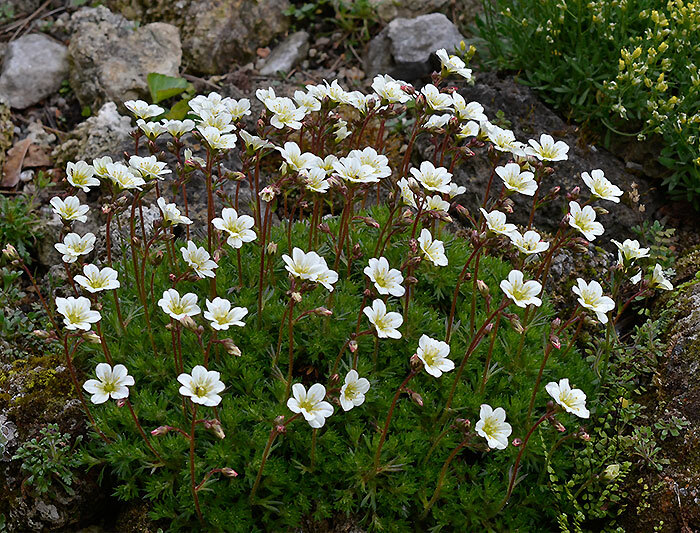 Saxifraga x arendsii 'White Pixie'. – This species is a very fine leafed and with compact cushions growing plant. Dislikes drought and hot humid summer weather. I cultivate it in my rock garden.